Since the printing of the Spring 2010 issue of the EMC Newsletter, it saddens me to report that John Howard, Roger Sudbury and Paul Cardinal have passed away. We honor their lifelong service to the IEEE and the EMC Society with a short review of their careers below. 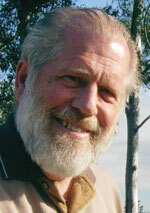 John Howard left Four Phase in October of 1985 to join Southwall Technologies, a small research company in Palo Alto. He was the sole Electrical Engineer in the company and as the Director of Electronic Products Development was tasked with developing shielding products using wide web thin film technology developed by Southwall. Southwall produced windows (for buildings, not Microsoft) that were reasonably transparent visually but moderately opaque to much of the electromagnetic spectrum. One company interested in this technology was Lockheed Missiles and Space Company. John left Southwall in February 1987 and joined the Research and Development division of Lockheed in Palo Alto, a part of the famous Lockheed “Skunk Works” division. For the next three years he managed an anechoic chamber test facility and participated in research projects to develop low radar cross section technology. This time spent in the deep security “black world” of military defense technology was a world away from the previous environment of commercial product development. John left Lockheed and returned to the commercial world in August 1990 by joining Tandem Computers as Advisory Engineer. This position involved assisting the varied product development teams in achieving EMC compliance with minimum cost and pain. Tandem’s downsizing provided John with the opportunity to try EMC consulting in 1992. His consulting work was quite satisfying but he was persuaded to rejoin a company after only six months. 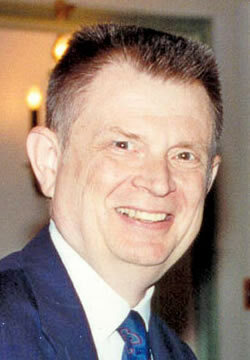 John became a Senior Staff Scientist for Parallan Computer from July 1992 until the company failed in April 1994. His EMC expertise was well exercised at Parallan as their high performance server products all met Class B at the first test. The demise of Parallan again left John with the life of EMC consulting, where he remained until his passing. John joined the IEEE while a student at OSU in 1969 under unusual circumstances. One of his professors submitted a term paper to the IEEE that he had written as part of the student paper contest. John won the paper contest along with a small monetary prize. After the award presentation, they discovered that he didn’t belong to the IEEE. Therefore, a condition of accepting the prize money was that he spend it by joining the IEEE. 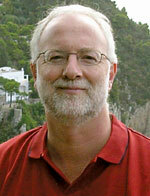 He had been a member of the IEEE since then and a member of the EMC Society since 1982. John had been active in several areas of the EMC Society. He served a two-year term as Secretary of the Santa Clara Valley chapter of the EMC Society from 1989 until 1991. He subsequently served one-year terms as Treasurer, Vice Chair, and Chair during the following three years. During his service in 1992 as Vice Chair he initiated a program to provide a grant to San Francisco State University (under the direction of Professor Zorica Pantic-Tanner) to start an undergraduate EMC class at SFSU. The success of this venture led to another grant later to San Jose State University, also led by Dr. Pantic-Tanner who was willing to commute from San Francisco to San Jose to teach this evening class. These events led to a proposal by John to establish the University Grant subcommittee (under the Education Committee) in the EMC Society. The University Grant program has been continuously supported by the Board of Directors since inception and has been responsible for creating an EMC class in the curriculum of over seven universities around the world. This is an ongoing program to offer seed money as a one-time grant to a new university each year to ensure that new EE graduates will have some familiarity with EMC. John was a NARTE certified EMC Engineer, a member of the dB Society, and a Senior Member of the IEEE. John was also member of Eta Kappa Nu, the honorary Electrical Engineering Society. John was very involved with several sideline activities. He had been a general aviation pilot since 1968. Over the years, he earned all of the airplane ratings including Airline Transport Pilot. He earned flight instructor ratings for both single and multi-engine airplanes, as well as instrument flying. He owned and flown a Beechcraft Bonanza since 1973. For several years he also owned a twin engine Beechcraft Baron. This he found to be a marvelously efficient method in which to dissipate money! He helped himself with the financial aspects of airplane ownership by earning the Airframe and Powerplant Mechanics rating from the FAA in 1977 so that he could perform aircraft maintenance himself. Unfortunately, he was the pilot of a single engine Bonanza when it crashed near Rollins Pass, just on the other side of the border with Boulder County. Roger W. Sudbury, IEEE Division IV Director, long-time volunteer, and IEEE Fellow, died on August 22 after a prolonged illness. In 2009, Roger chaired the Employee Benefits and Compensation Committee, which recommends guidelines and benefits for employees. He was former executive officer of the MIT Lincoln Laboratory in Lexington, Massachusetts, where he had a 41-year career. He was nationally recognized as a visionary leader in the development of gallium-arsenide monolithic circuits for applications in electronically scanned radars. 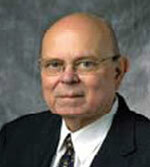 He served on numerous IEEE boards and chaired countless committees and conferences throughout the years. Among his many accomplishments, he was president of the Microwave Theory and Techniques Society in 2000. He chaired the Conference Publications Committee, which oversaw the transition to electronic submission of conference publications as well as the development of author support software for IEEE Xplore® compatibility. On the Membership Development Committee, he worked to simplify the online membership application. On the Educational Activities Board, he chaired the Continuing Professional Education Committee (CPEC) and oversaw an expansion of the Educational Partners Program, the integration of the Expert Now IEEE as a CPEC activity, and member access to the courses. As honorary general chair, he ran the Steering Committee for the 2007 IEEE Radar Conference in Boston. On the IEEE Awards and Presentation Committee, he advocated improvements in the IEEE Honors Booklet and Ceremony. Roger attended Georgia Tech as a National Merit Scholar, earning the B.E.E. degree with highest honors in 1960 and the S.M. and Engineer degrees from MIT in 1963 and 1964. He was a member of Phi Kappa Phi, Phi Eta Sigma, Sigma Xi, Tau Beta Pi, and Eta Kappa Nu honor societies. Roger is survived by his wife, Margot, and his sons Jonathan and Andrew. Paul Cardinal peacefully passed away on August 31, 2010 at the age of 56. Paul achieved his BSc Hons. in physics from the University of Ottawa in 1976, followed by Masters and Ph.D degrees from the University of Toronto Institute for Aerospace Studies in laser physics. Although he was initially employed developing lasers for industrial and educational purposes, the highlight of Paul’s career was working with Research in Motion (RIM). Paul began his career with RIM in 2000 and thrived with the challenges of being the Director of RIM Testing Services. He considered himself to be extremely fortunate to have had the opportunity to grow with this dynamic company. Paul pursued personal interests in history, genealogy and music. He was an avid reader of science fiction novels. A keen traveler, Paul’s goal was to visit the 100 Wonders of the World. I would like to continue to solicit your support in helping me receive the names of EMC Society members that have recently passed away. You can either forward them directly to your local Chapter chair, or if you don’t know who that is, you can forward the names to me (d.heirman@ieee.org) or any other committee member which can be found on the EMC Society web page (www.emcs.org) and by clicking on the “Committees” button in the left column. Thank you in advance for your assistance as we honor EMC Society members who have completed their careers.